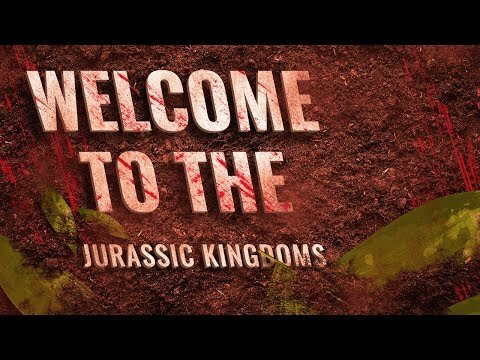 Welcome to Kenson’s Jurassic Kingdoms! This is the official website of KensonPlays and his community. Kenson loves Dinosaurs, Dragons, Sci-Fi, and more! Kenson is a PG content creator. This means that there is no bad language coming from him, but others in voice may once-in-a-while. This means it should be a safe place for parents to leave their kids. Think of this community as a Marvel Cinematic Universe movie. Disney/Marvel does not put beheadings, lots of language, or the like in their movies, they keep it down to the minimum. That’s what we’re striving for here! If you have any questions or concerns, please feel free to Contact Kenson. As a Minimal-Swearing community, we have some Rules that need to be followed, at all times. Additionally, if you want, you can take a look at the Calendar for more information on his schedule with the streams and other various aspects of his life that he wants to publicly share. We want to be a welcome community to all who want to join. But please be aware, our community is PG, so keep things as clean as you can! The streams from Kenson are primarily Monster Hunter: World & The Isle, but he does play other games on occasion, like Minecraft, and ARK (once another fun server is found)! 700 Pack Members – We’ve Done It! This website uses Google Analytics to track basic information like session duration, page views, bounce rate, and which pages are viewed. By clicking Accept, you are saying that you agree with the basic analytics we're gathering to improve the site for all. Jurassic Kingdoms was 'founded' in 2014, under the name "KensonVsGaming," and is now known as KensonPlays, running the community Jurassic Kingdoms.